Flu isn’t just a bad cold. It can kill people, and sometimes does so in large numbers. In 1918, a flu pandemic killed somewhere between 50 million and 100 million people. In 2009, swine flu mutated and started to spread from person to person. The World Health Organisation identified the flu outbreak as a ‘pandemic’, as there were simultaneous epidemics of this new H1N1 flu across the globe. The NHS was rightly on high alert. The virus reached the UK in April 2009, and by late July the number of new cases reached 110,000 in a single week. Health workers had their leave cancelled. Routine surgery was postponed. Emergency centres were set up to distribute Tamiflu, the recommended treatment for the virus. We got lucky in 2009 – the virus turned out to be a good deal less dangerous than experts had feared. The threat, though, was a very real one. The UK Government acted in a completely principled way. It started to stockpile antiviral drugs in 2006, when there were fears of an avian flu epidemic. In 2009, faced with an escalating global pandemic, the Government bought enough doses of antivirals to treat 80% of the population. The two drugs stockpiled were Tamiflu, manufactured by the Swiss company Roche, and Relenza, made by British company GSK. Our Government followed the advice given by the World Health Organisation and by UK experts. They found the money, and they made sure that the very best treatment was available to any of us who needed it. There was one big problem: the very best treatment was almost certainly a total waste of time and money. Medical experts had no way of knowing this, because the drugs companies hid the data. These drugs were meant to stop people catching flu if a close family member had already got it, and to stop serious complications like pneumonia. The reality is that the drugs don’t prevent flu, and shorten the duration of symptoms by an average of half a day! Most of us would be better off with a couple of paracetamol or an over-the-counter flu treatment. Even worse, Tamiflu has side effects: nausea and vomiting quite commonly, and – more rarely – hallucinations, nightmares, and abnormal behaviour (in some cases with fatal outcomes).There are also reports of serious allergic responses. We wouldn’t know that these drugs are close to useless if we’d waited for the drugs companies to tell us. We only know because of an independent international study, a ‘Cochrane Review’. 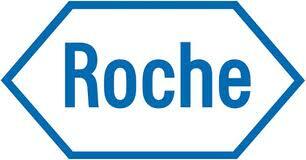 The scientists who led this had to fight with Roche for five years just to have full access to the clinical data. Roche had tried to get away with publicising the small numbers of positive studies, and keeping quiet about all the data that showed Tamiflu didn’t work. Then they tried to make the independent scientists sign up to an agreement that they could see the data if they kept it secret! The researchers refused, and Roche was forced to cave in. Researchers looked at 170,000 pages of data from 20 Tamiflu trials and 26 Relenza trials. The scientists’ conclusion? The drugs don’t work, and, in the words of the co-author of the independent review, ‘the money has been thrown down the drain’. The UK Government wasted around £600 million at today’s prices, stockpiling useless drugs. Other governments did the same. They were misled by companies that put profit before honesty. Private profit and healthcare don’t mix. The Health and Social Care Act was driven through in order to privatise the whole of our NHS. Already in Shropshire we’ve got Spec Savers providing adult audiology services. The school nursing service in Telford and Wrekin is now being put out to tender, with a risk that it could be handed over to a company like Virgin or Serco. Slice by slice, the NHS will be handed over to companies who run healthcare for profit. Our job is to stop this happening.